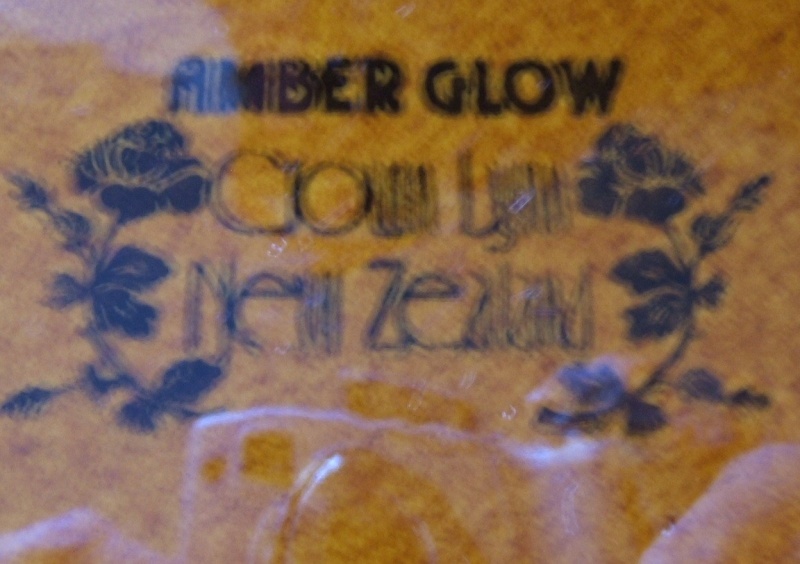 Found an Amber Glow cup the other day and thanks to an auction on Trademe was able to find out which pattern it went with. 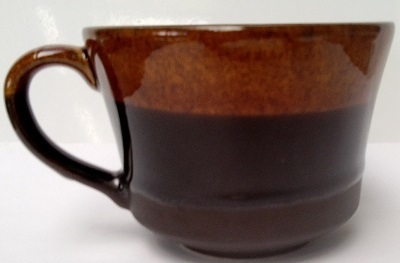 It has been glazed with two different brown glazes, one looks like Pioneer and the other is a very matt brown unlike any other glaze that I've seen used by Crown Lynn. 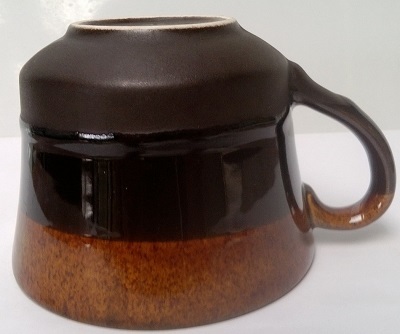 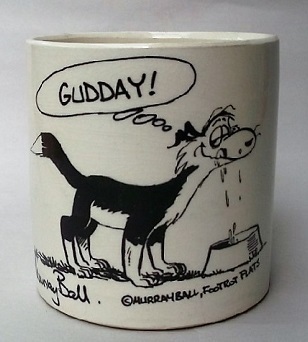 They have put the matt brown on first to around two thirds of the way up the cup and the pioneer like glaze 2nd, covering around a third of the matt glaze and this gives the impression of 3 colours. 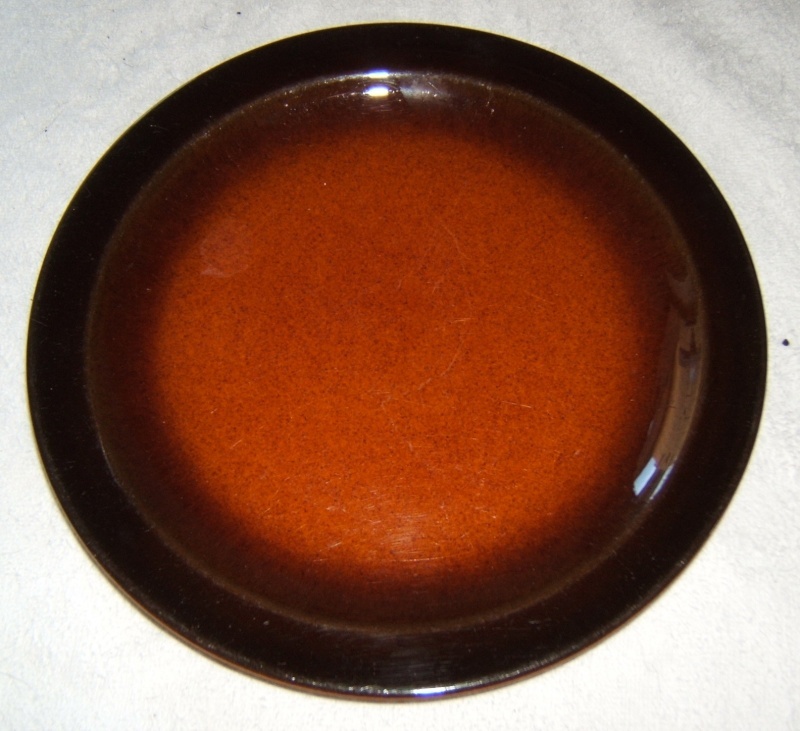 This method is called double dipping.